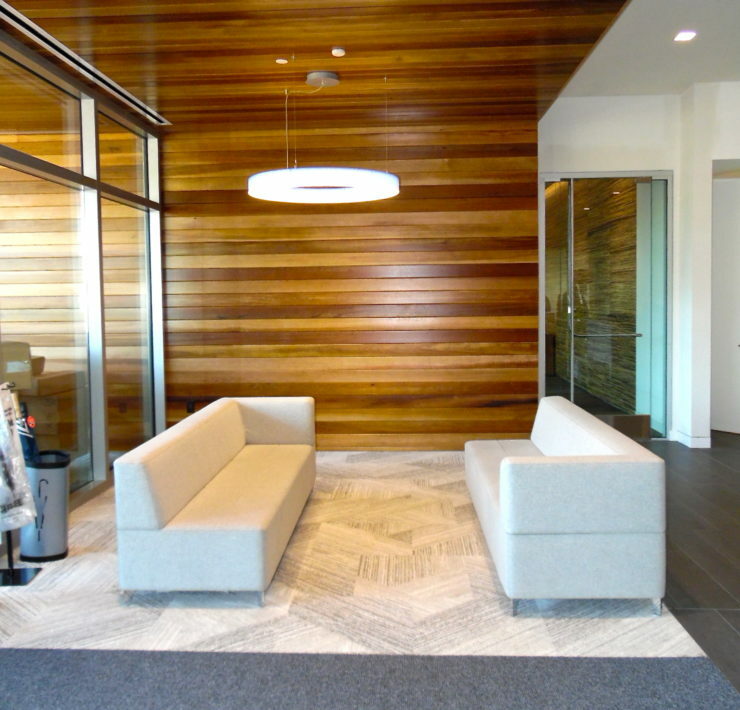 Photos by: Talia Wise for Flooring Solutions, Inc.
OsiSoft has made their San Leandro campus their new headquarters. 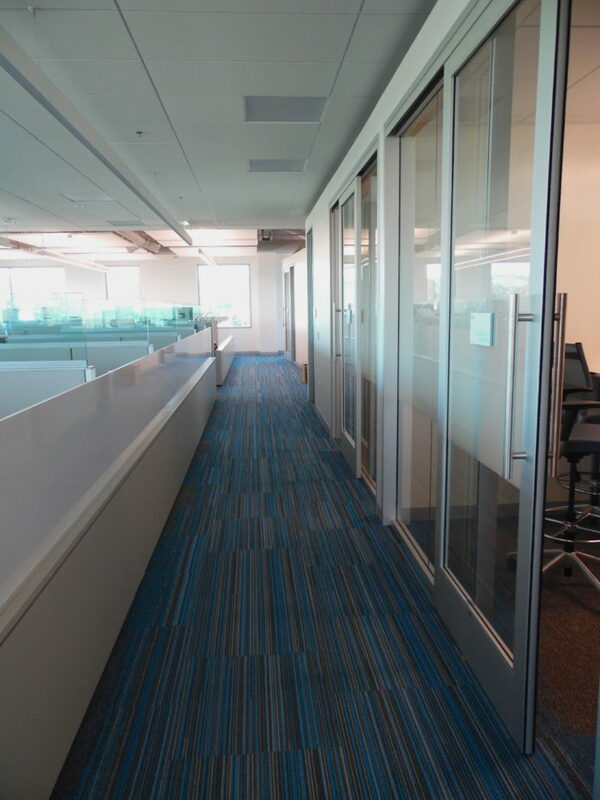 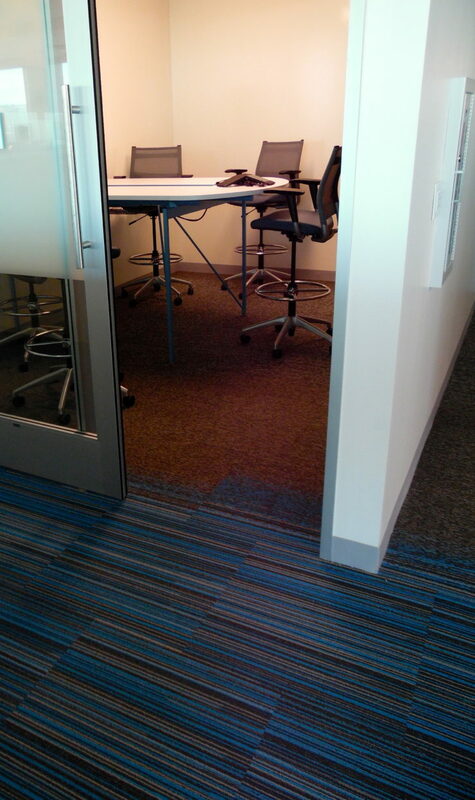 To give the building and space the look and feel a multi-national tech company deserves they had carpet designed specifically to match their brand color. 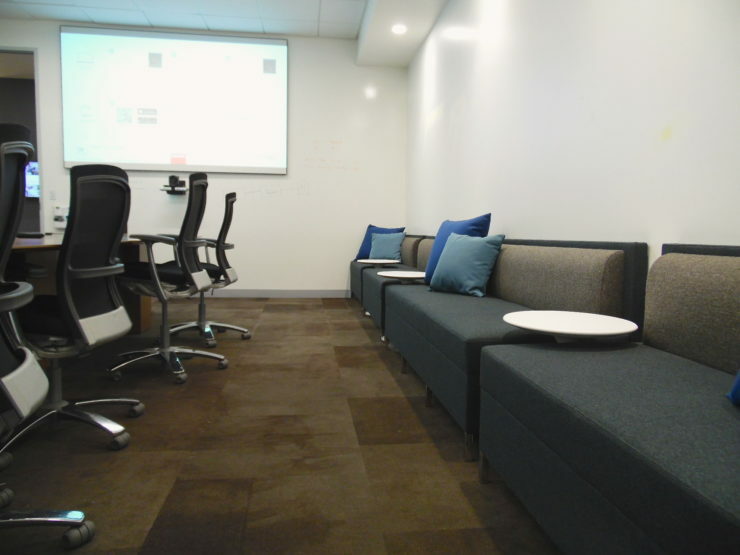 This carpet was installed on all floors in their open spaces and was matched with complementary carpet tiles in conference rooms. 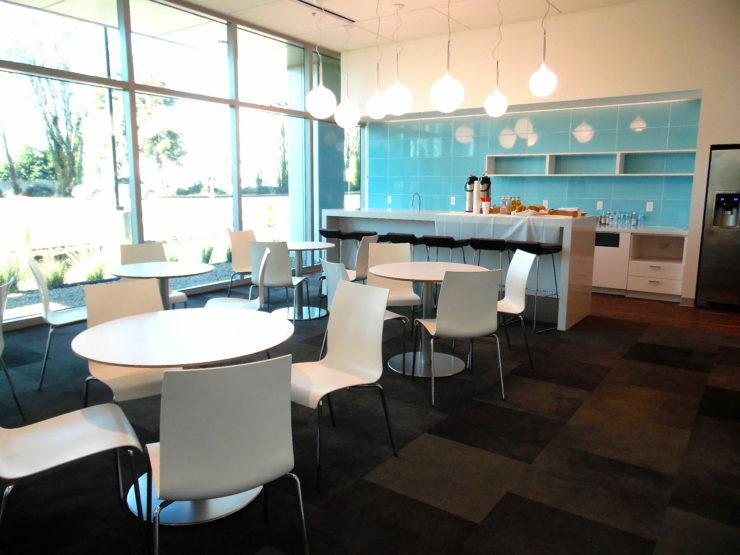 The open spaces are surrounded by windows which look to the East Bay hills on one side and to the waters of the bay on the other. 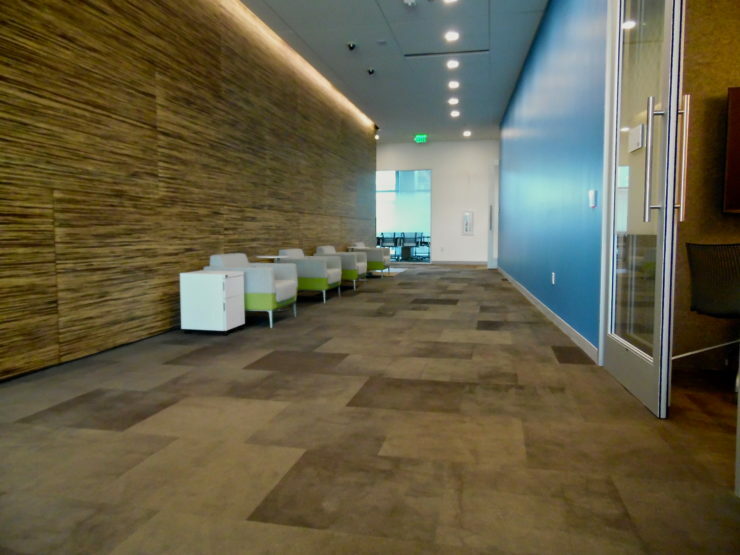 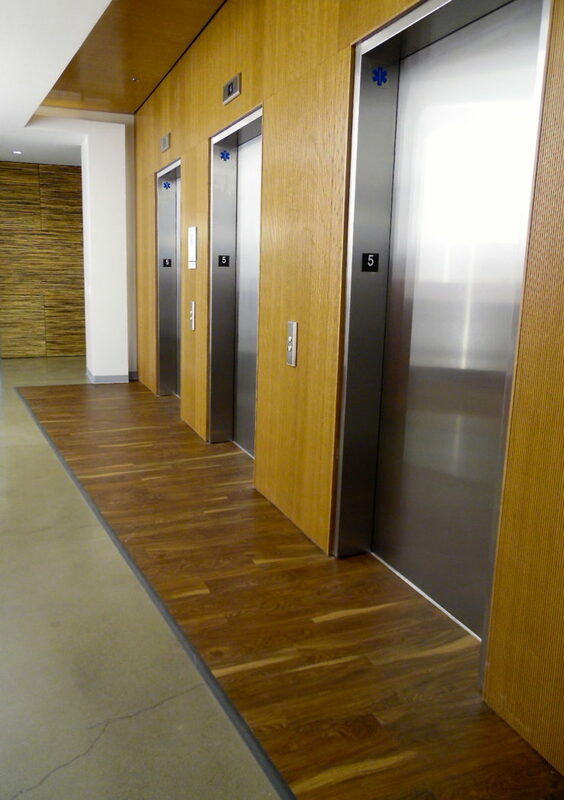 The carpet choice embraces not only the OsiSoft brand, but the organic surroundings of the building. 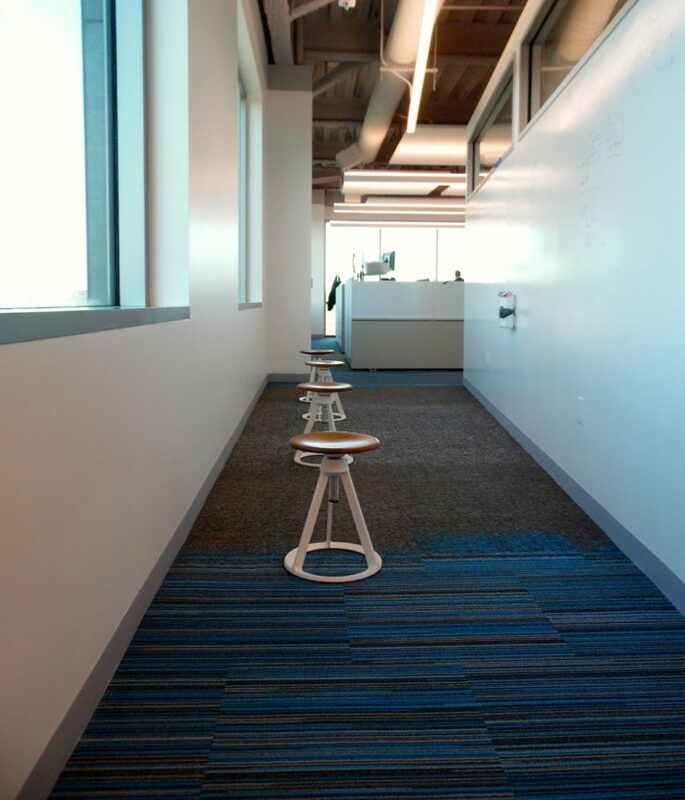 Though the brand color is blue, the design creates a warm environment, which is conducive to collaborate work and productivity.